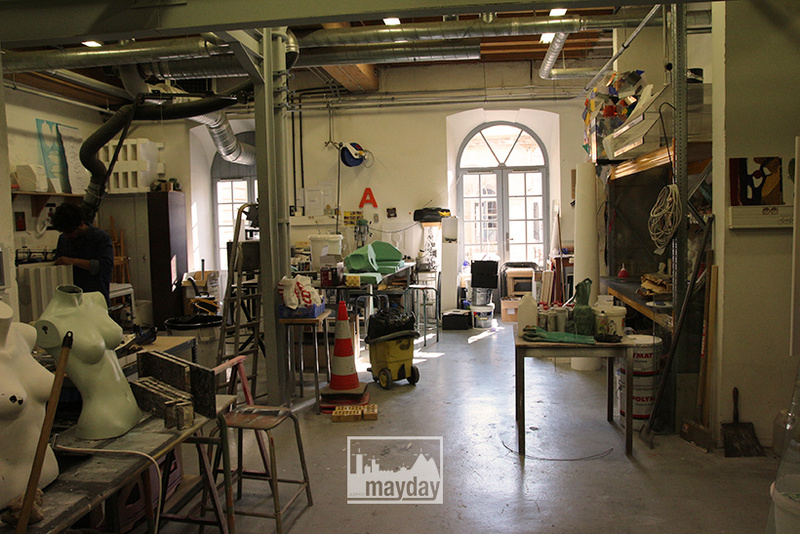 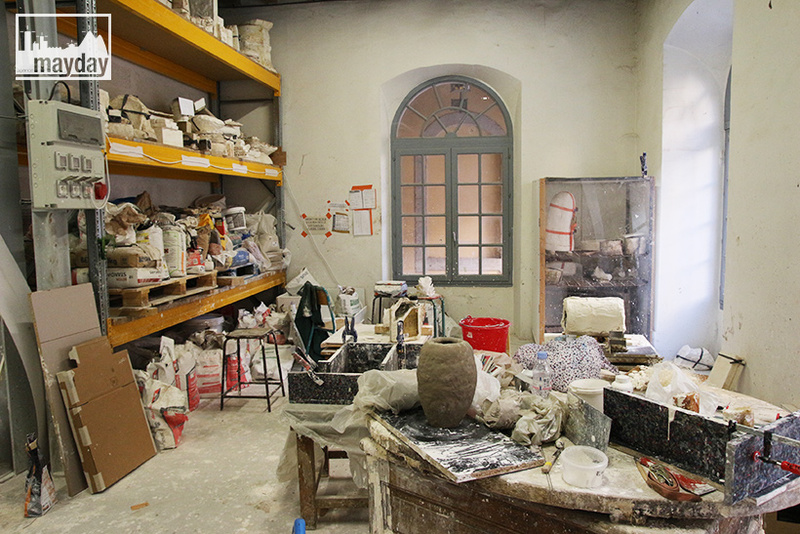 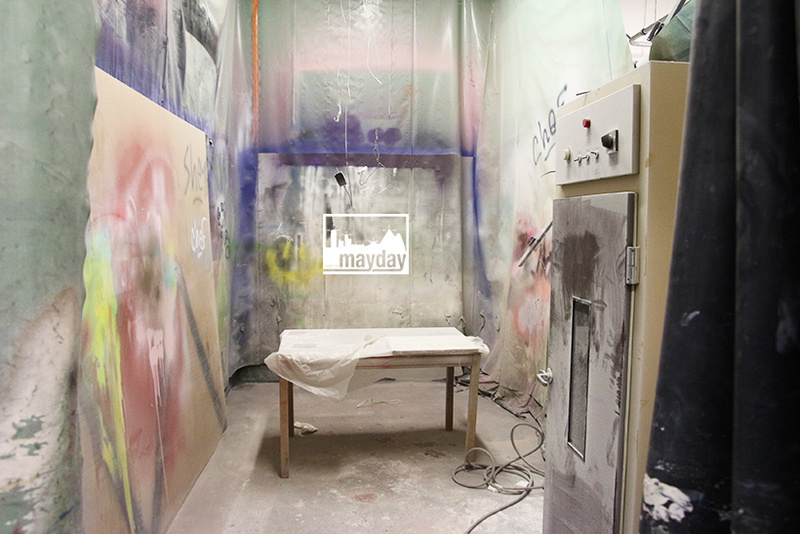 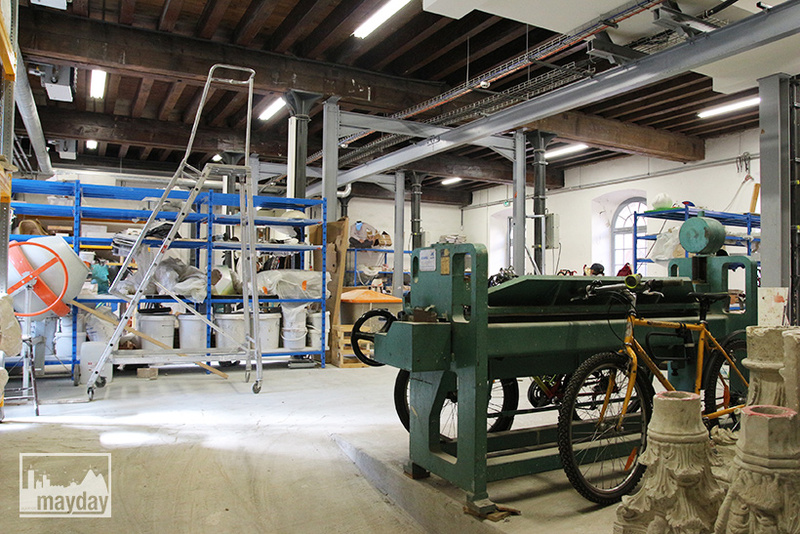 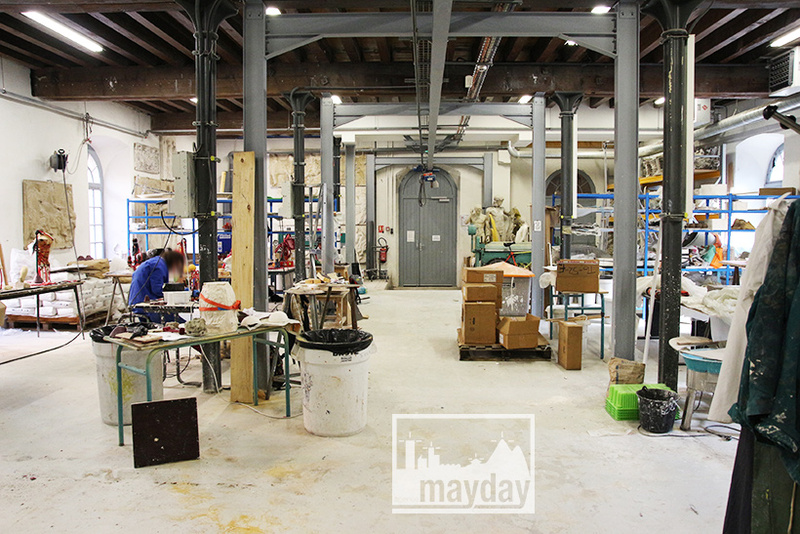 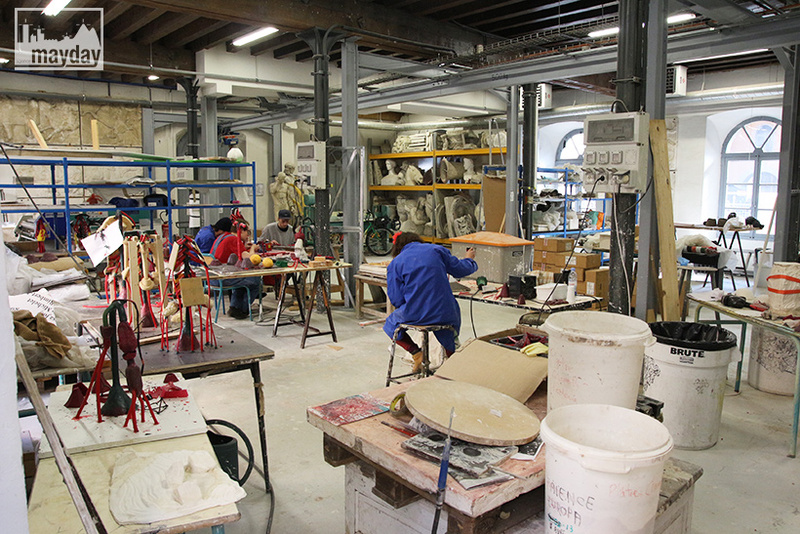 The sculptor’s workshop (clav0087e) | Agence Mayday, scouting agency | Best location for your project concerning : feature films, TV, commercials, promos, photo shoot & events. 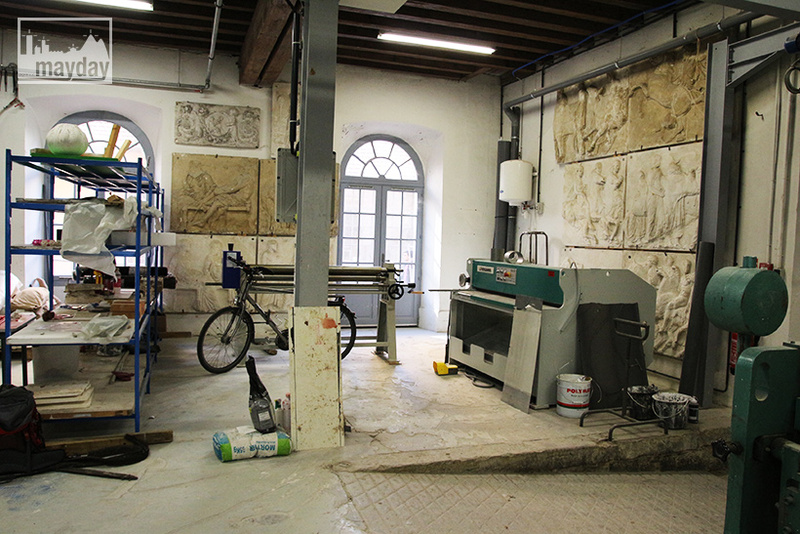 A large collective carving studio. 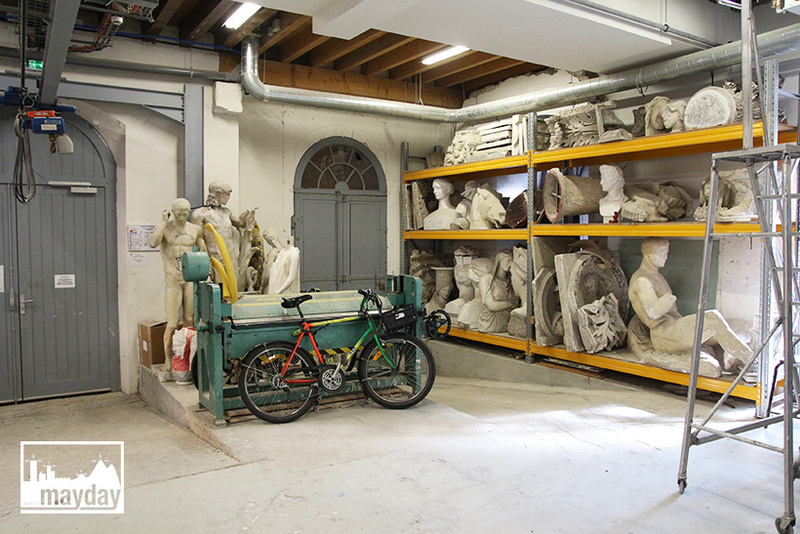 High ceiling «à la française», numerous ancient anch windows, concrete ground.